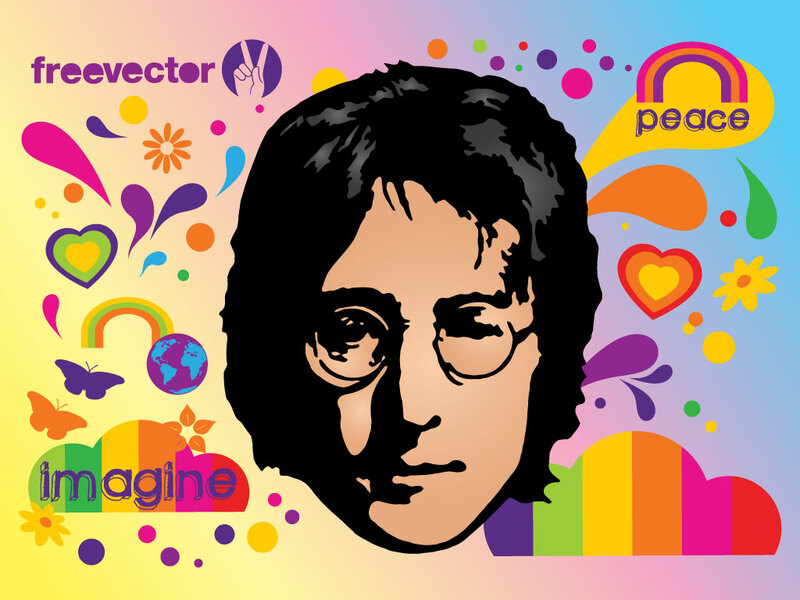 Colorful John Lennon vector art composition for your hippie, flower power, sixties, seventies, The Beatles, music, pop and rock design themes. John Lennon was and is an icon of music, peace, the hippie movement, enlightenment and free thought. Sadly, the music icon was gunned down in New York City on Dec. 8, 1980 but his memory and his music continue. Tags: Artist, Flower Power, Hippie, Iconic, Imagine, Music, Peace, The Beatles, Unity.